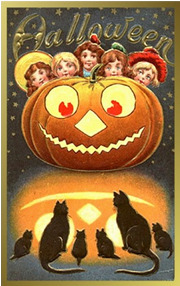 This vintage inspired Halloween greetings box decorated with two Halloween cats and Jack O' Lantern is created by artist Angelique Duncan of Twilight Faerie. 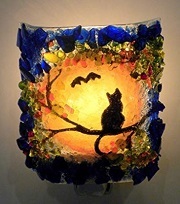 The vintage style Halloween box can be used as both a Halloween ornamental piece or a functional trinket box where you can store your trinket possessions. 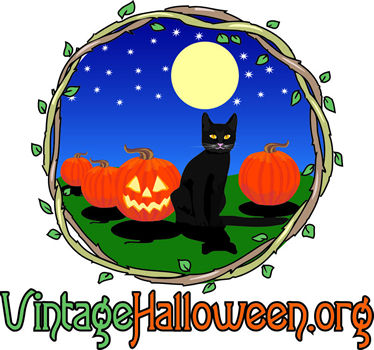 The dimensions of the Vintage inspired halloween greetings box decoration are approximately 3 1/2 inches in height, and 9 1/2 by 6 inches wide.